A lot of interesting things are happening today if you're a fan of one of Nintendo's best selling series, Super Bash Sisters. Not only were the codes for Mewtwo sent out for people who purchased both the 3DS and Wii U copies of the game, but it got an update to add in some more DLC. Yeah, DLC, I know. But inside of that patch, apparently, were a few files that were winning themes for characters that people expected—and one that people didn't expect so much. I am, of course, talking about Ryu. Everyone loves Ryumand, right? Personally, I'm excited if this is actually true. I'm not the biggest fan of Street Fighter, mind you, but I still enjoy the series a great deal. 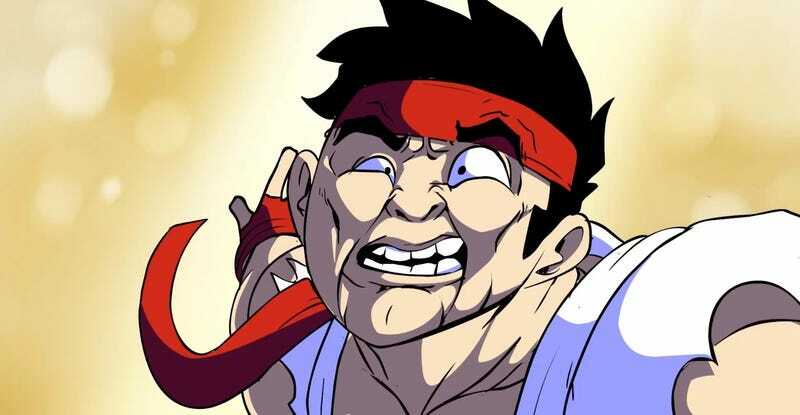 Having someone new like Ryu inside of the Bash Sisters universe would be too cool for words. I feel like he has enough of a moveset, especially since he's from a traditional fighting game, that there would be no issues trying to figure out what his special attacks would be—or even what his normal attacks would look like. The whole thing got me thinking about some of the times when I've actually been disappointed by someone being absent from a game. As an example, every Halo game without Sergeant Johnson shoe-horned in felt a little sad to me. Something about that magnificent man and his wonderful motivational speeches just created this massive space inside of the Halo multiverse that just seemed like a giant void when he was absent. Stop making loveable characters, Bungie. Since cross-overs seem to be the big thing now, even with something like Mario Kart, are there any that you would like to see added to some of your favorite roster-based games? Any characters that you think would go well with any game at all? Personally, I wouldn't mind seeing Dudley in more stuff. Especially because of that sweet 'stache. Maybe a Punch Out where he was one of the final bosses rather than Mike Tyson or Donkey Kong. Did the topic not interest you? Think your rosters are big enough as it is? Well then, feel free to talk about life, love, gaming, or whatever else you desire. The Wednesday Graveyard Shift is now open!